META: Bet365 has been accused of restricting accounts for no good reason. Many have lambasted its customer service. Many have enjoyed betting through the app. What is the truth about Bet365? Find out in our review. Bet365, stylized as bet365, is an online betting platform that is also available as an app. Bet365 Group Ltd owns and operates the website and the app. The online gambling company has its headquarters at Stoke-on-Trent in England but is registered in Gibraltar. Most online gaming companies in the UK are registered offshore. Bet365 was founded by Denise Coates in 2000 and is presently owned by her along with John and Peter Coates. The site and app have over thirty million customers around the world. The company has over four thousand employees. It is the largest employer among private enterprises in Stoke-on-Trent. Bet365 reportedly generated revenue of £2.3 billion in 2017. It is one of the largest betting, gambling and gaming platforms in the world right now. Bet365 has a plethora of games, including traditional casino and contemporary ones. It enables gamers to place sporting bets. The site and the app cover all major sports and popular leagues or championships. There are other games too that are not necessarily about gambling or sports betting. The sheer variety of games on the platform has made it immensely popular. It is also one of the few gambling companies that have a lot of information about its background and how it is operated in the public domain. The founder and present chief executive of the company, Denise Coates is a well known billionaire businesswoman in Britain. You can read a more comprehensive review of the app on BettingSiteZ.co.uk. 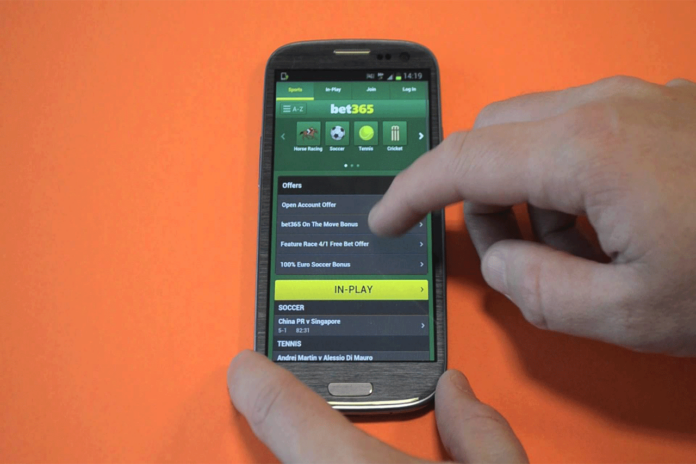 The Bet365 App Review for Android and iOS by BettingSiteZ.co.uk shall offer you a holistic perspective and a thorough understanding of what the platform offers, if you should consider it and how you can go about making the most of your time, effort and money. What strike most people is the stark contrarian views of gamers and critics. There are people who have reported their accounts have been restricted, that they were unable to withdraw money they have won and that some were compelled to close their accounts for no legitimate reason apparently. Then there are those who have absolutely fallen in love with the portal and would rather not try anything else. Surely, the two completely opposite realities cannot be true. Bet365 has been accused of poor customer service. Some have described it as horrible. A few people have also accused the platform of outright fraud, stating that money was illegally moved from their accounts. Then there are those who have earned modest profits and a few continue to grow richer with their bets on the platform. Vested interests may be at play. Competitors may try to weigh down on the popularity of the site. There could be some serious grievances too. You need to explore the entire nitty-gritty about the site to know for sure and BettingSiteZ.co.uk or specifically bettingsitez.co.uk/bet365/mobile-app shall do the needful.